With Readly you can read Good Homes: Your Complete Guide to Interior Design and thousands of other magazines on your tablet and smartphone. Get access to all with just one subscription. New releases and back issues – all included. The first 180-page special edition from the publisher of Good Homes, Your Complete Guide to Interior Design brings you inspiring ideas for every room. 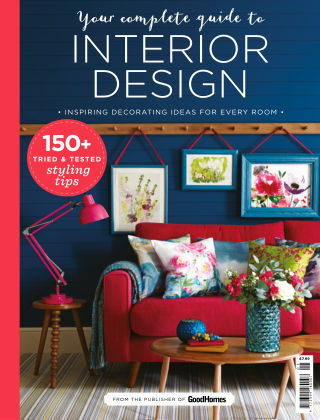 Arranged into 12 easy-to-follow sections, it includes expert advice on colour, pattern, texture, layout and lighting, with all-important how-to boxes offering key practical advice. Your Complete Guide to Interior Design will give you the inspiration and confidence you need to create perfect schemes for the home you love!